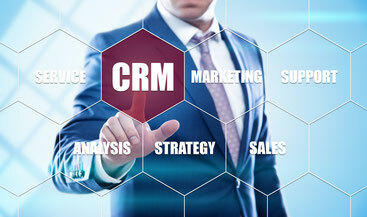 The CRM package enables mobile access to customer information in SAP® CRM via smartphone and tablet. Sales representatives are able to prepare for customer visits with upcoming activities and get real time customer’s information during the meeting. Right after the visit sales opportunities and follow up activities can be updated quickly. We deliver extensive and field proven standard package mobilizing standard processes in SAP. All screens can be adapted based on a thought-out enhancement concept to meet your requirements. Fields, tables, buttons and whole screens can be added or removed. All outputs and all business logic, such as reading, filtering, processing and saving of the data, takes place in methods which can individually be redefined based on the enhancement concept. All development is done in pure ABAP by developers from the customer or by partners from ISEC7. Download the app and test it! See here how to do it.